beaUTAHful - A timelapse collection from John S. on Vimeo. 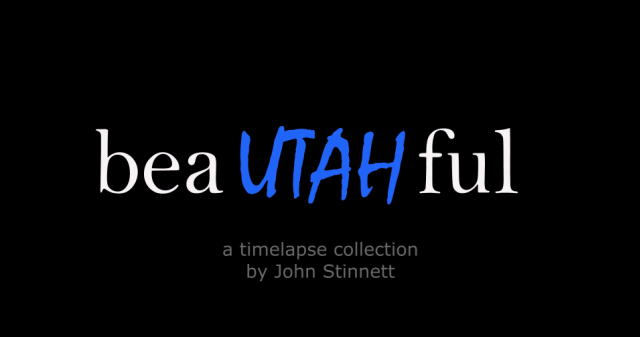 This collection of stunning timelapses were shot over the last year in and around Northern Utah by the talented John Stinnett. Find more of his work on Vimeo.